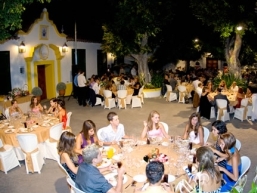 Hotel Cortijo San Ignacio Golf has a long experience celebrating private or companies events. Splendid gardens and spacious courtyards where you can celebrate your wedding, baptism or any other event in a unique climate. The hotel is very well communicated with great access infrastructures and only 10 minutes drive to Las Palmas and 5 minutes drive to Telde. On top of this, the hotel offers a large parking area with easy access. 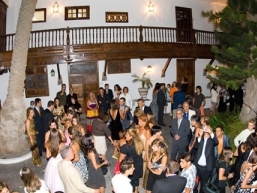 The hotel Cortijo San Ignacio Golf is ideal location for marketing presentations and corporate conventions. Due to its size and facilities, the Hotel is a suitable place for Automobile presentations as well. Due to our architecture, the hotel is the perfect place for filming and photo shooting. Lots of Production companies, broadcasting and fashion magazines already know us and repeat the experience. Our target is to make your stay unforgettable.